This is a special Academy Event in 12 parts. Welcome to part 2! In this session, he helps us to understand why claims get denied and provides some specific ways to try and get the claim paid. This webinar, using multiple real-life claims examples, examines the four principal reasons claims are denied, ranging from ‘cranial inversion’ to legitimate differences of opinion, and how to explain to other parties why there is or isn’t coverage and convince them that your interpretation is the ‘correct’ one. 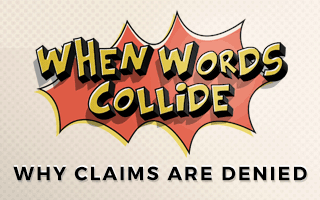 Identify four (4) reasons claims are denied. Be able to explain why a claim is or is not covered to all parties involved, especially the policyholder. Learn, using practical real-life examples, how to persuade other parties that a claim is or is not covered. Understand the importance of preventing, as opposed to resolving, claims disputes.